When we first reported on coffees from Nicaragua, in 2004, the overarching theme was economic development. 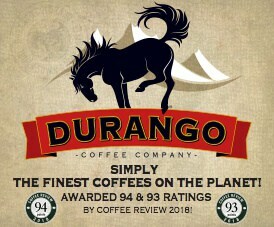 Specialty coffee was viewed as a way of opening access to economic and social benefits for Nicaragua’s many small- to medium-holding coffee farmers, most of whom had been decimated by the global drop in coffee prices during 1999-2003, and prior to that, by the long war that isolated the country and its farmers via a U.S.-enforced trade embargo (1985-1990). Coffee Review editor Kenneth Davids posited then that the success of recently established third-party coffee certifications like Fair Trade and organic, together with what he called the “gourmet strategy”—selling distinctive, high-quality coffees with engaging back-stories to consumers willing to pay considerably more for them—might bring some healing and modest prosperity to Central America’s most battered of coffeelands. As Davids pointed out, both were aimed at breaking the relentless price-first, people-and-quality-last practices that dominated, and still dominate, commodity coffee and its blunt exploitation of coffee producers. By 2011, however, when Coffee Review next surveyed fine Nicaragua coffees, it appeared that the third-party certification element of the coffee-development strategy was beginning to take a back seat to the gourmet strategy. The terraced slopes of Daniel microlot. Courtesy of @goldmtncoffee. In our 2004 Nicaragua report, for example, six of the 10 coffees reviewed were certified organically grown, and three of those six were both organic- and Fair Trade-certified. (See the end of this article for a quick overview of current third-party certifications.) By our 2011 report, the number of certified coffees had dwindled to three. What we learned in this most recent cupping is that, while certifications do remain as market differentiators, their relevance to specialty coffee and its producers has given way even more definitively to the practices that today we are likely to call direct trade or “third wave”: small lots of exceptional coffee differentiated by tree variety and/or processing methods and facilitated by direct relationships between roasters and producers. This is a trend, of course, that we are seeing globally across all coffee-producing countries and their consuming-country trading partners. Yellow-fruited coffee cherries being harvested at Finca Los Pinos. Courtesy of Thanksgiving Coffee Company. Song Bird Coffee, certified as Bird-Friendly by the Smithsonian Institution. Courtesy of Thanksgiving Coffee. Does the relatively low number of certified coffees of any kind we cupped for this month’s report indicate that social and environmental sustainability concerns have taken a backseat? Yes and no. In fact, our research, albeit anecdotal, suggests that direct trade has prioritized a different set of considerations, some of which result in increased sustainability, but all of which are centered on quality and distinction. In a phone interview, Ben Weiner, president and CEO of Gold Mountain Coffee Growers, and a partner-producer of two coffees we review here (Boil Line Coffee’s 93-rated Daniel Microlot and Ironclad Coffee Roasters’ 92-rated Tolliver’s Reserve Nicaragua Gold Mountain Fruit Candy Nanolot), says that certifications don’t always go far enough, either in terms of sustainability or in securing a fair wage for farmers. “And certifications,” he says, “don’t always prioritize quality,” which he says everything Gold Mountain does revolves around. 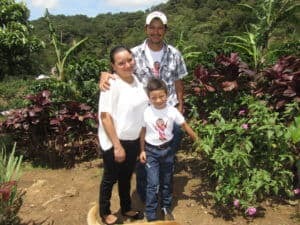 Manuel and Yesenia Lopez (and son), co-producers of Ironclad Coffee Roasters’ Tolliver’s Reserve Nicaragua Gold Mountain Fruit Candy Nanolot. Courtesy of Ironclad Coffee Roasters. Weiner, also a coffee farmer in Matagalpa, Nicaragua, describes some of the practices his farm has instituted to improve and ensure quality: “We use refractometers to assess when our cherries are at the optimal brix for picking, and we use light sensors, as well as expertly trained pickers, to weed out imperfections.” Perhaps not coincidentally, Gold Mountain’s own farm is named “Finca Idealista.” The company sponsors computer classes for women and girls in the community; gives access to credit for farmers in a country in which credit is virtually non-existent; and helps to provide books and other supplies for local schools. Gold Mountain received an excellence award from the Specialty Coffee Association of Europe (SCAE) in 2016 for their pioneering work in educating Nicaraguan farmers in sustainability practices, such as composting, reducing water usage, and buying land in order to protect it from development. There seems to be an implicit argument being made by those who favor direct-trade sourcing of coffees over going through the usual exporter channels: that empirical evidence leads green buyers to develop trust in the producers of the coffees they choose by visiting the farms and seeing for themselves what happens on the ground, rather than leaving holistic assessments to third parties. We spoke with all nine of the roasters whose coffees we review here, and all but two described their coffees as the result of direct-trade relationships. The importance of those relationships, said several of the roasters, is second only to quality, and a close second at that. While it may be difficult to sort out the tangled layers of certifications, sustainability claims, questions of fair prices, and community stewardship, it wasn’t at all hard to identify great-tasting coffees among the 55 we cupped for this report. Scores ranged from 77-94, with an average score of 84. The top-rated nine coffees we review here scored between 92 and 94 points, an impressive showing. Farmer Daniel Zeledón, whose microlot Caturra coffee, roasted by Boil Line Coffee Company, we review in this report. Courtesy of @goldmtncoffee. It seems that, in 2017, Nicaragua is very much riding the “gourmet” wave as described by Davids in 2004. For example, two of the signs of the new gourmet paradigm in fine coffee are differentiating small lots of coffee by tree variety and by processing method. To understand the differentiation as it applies to Nicaragua, we first need to understand the norm. Coffee in Nicaragua traditionally has been produced from a mix of varieties of Arabica, most of them traditional and respected (Caturra, Catuai) but none particularly distinctive-tasting. The standard processing method in Nicaragua, as it has been for decades throughout Central America, is the wet or “washed” method, wherein the soft fruit residue is removed, or “washed “ from the coffee seeds or beans immediately after they are picked and before they are dried. Of the nine coffees reviewed in this report, eight were produced from lots of single tree varieties, and of those eight, six were produced from unusual (and often difficult to grow) varieties particularly recognized for their distinctive cup. Several of these coffees were unorthodox in both in variety and processing method. Take, for example, the four coffees produced from the bold-beaned, savory-tending Pacamara variety. Still unusual and rare, the Pacamara variety is a cross between the huge-beaned Maragogipe and Pacas, a selection of Bourbon. Of the four reviewed Pacamara samples, two were natural-processed (dried in the whole fruit), one honey-processed (fruit skins only removed, dried in the fruit flesh), and only one processed by the more orthodox wet-processed method. Natural-processed coffee cherries drying at Finca Los Pinos. Courtesy of Thanksgiving Coffee. Natural- and honey-processing are increasingly favored by third-wave roasters aiming for differentiation in cup and story. Very generally speaking, a classic washed-processed Nicaragua cup tends to be richly sweet with a soft, unobtrusive acidity and a flavor profile that leans more toward chocolate than fruit. By contrast, the dried-in-the-fruit coffees reviewed this month are exuberantly fruit-forward, constituting what we often call “caveat coffees” in our lab because they depart so dramatically from what consumers have come to expect in a Central America cup. The honey-processed Taokas Coffee Studio Pacamara roasted in Taiwan (93), and the natural-processed Ironclad (92) epitomize these caveats dramatically, while the Modern Times Limoncillo “Funky” (93) Red Pacamara pushes natural-process differentiation to the extreme. Here the coffee fruit was allowed to dry on the tree rather than picked and dried, a very tricky and unorthodox approach to be sure. The unusually slow drying process produced a crisply sweet fermenty character that some coffee-drinkers will love and others, perhaps, not so much. We enjoyed its evocation of cascara (dried coffee cherries) and its herby-sweet depth. We found the Reunion Island washed Pacamara (92) a more classic cup: balanced, chocolate-toned, bittersweet. Another confident outlier in regard to variety is the Paradise Roasters’ Jinotega Gesha, which tied for the top score at 94. The still rare and pricy Gesha variety of Arabica is celebrated for its strikingly floral, refined and complete cup. This version, processed by the traditional wet or washed method, is almost Kenya-like in character, richly sweet-savory and high-toned, with elegant hints of myrrh. The other top-scoring coffee, Giv COFFEE’s Un Regalo de Dios (94), was produced from trees of the Bourbon variety, one of the world’s oldest and most respected, impeccably wet-processed, fruit-saturated yet restrained, juxtaposing equal parts fine musk and narcissus-like florals. Perhaps the only coffee presenting a classic Nicaragua profile among all of the nine highest scorers is Thanksgiving Coffee’s Organic Shade-Grown Nicaragua (92), a blend of the respected Maracaturra, Caturra and Catuai varieties meticulously processed by the traditional wet method. 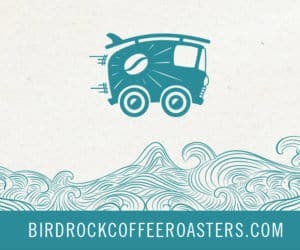 It is also the only coffee we review that is certified Bird-Friendly by the Smithsonian Institution, hands-down the most uncompromising and rigorous of environmentally focused certifications. 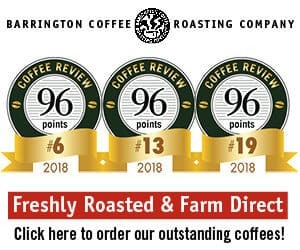 The idealism and passion that drove the growing and farm management that produced this coffee clearly went into its processing as well: It is an impressively pure coffee. Of all nine coffees we reviewed this month, it most clearly represents the classic Nicaragua cup of tradition, with its inherent balance, quietly juicy acidity and buoyant, satiny mouthfeel. Farmer Byron Corrales at Nicaragua’s Finca Los Pinos. Courtesy of Thanksgiving Coffee. This cupping of 55 Nicaragua coffees was a joyride of an exploration, full of discoveries along the way. What seems clear is that Nicaragua is in an exciting process of reinventing itself as a coffee-producing country, and it will be fascinating to watch where it goes. Currently, seals for five major third-party-verified certifications for coffee appear on coffee websites and bags in North America. Here is a very quick overview of their varying focuses. Organic describes coffees that have been certified by a third-party agency as having been grown and processed without the use of pesticides, herbicides, or similar synthetic chemicals. Certified by the USDA for import purposes. Fair Trade certified coffees have been purchased from farmers at a minimum “fair” price as defined by NGOs in the U.S. and internationally. (The complex landscape of fair trade was rendered more complicated when Fair Trade USA split from Fair Trade International) after ongoing disputes about the organization’s direction.) Fair Trade emphasizes economic and social fairness for small-holding producers and coffee-worker organizations. Since it does not emphasize environmental issues, it is often coupled with organic certification to create a comprehensive Organic/Fair Trade certification for consumers. Rainforest Alliance is an NGO devoted to biodiversity conservation. Alliance criteria also consider treatment of workers and community well being. RFA is a rigorous, yet relatively accessible and flexible certification. Utz Certified particularly focuses on transparency and traceability throughout the supply chain for coffee, cocoa, tea and hazelnuts. It is a particularly important certification in Europe. It will merge with Rainforest Alliance at the end of 2017. The Smithsonian Bird Friendly Certification, managed by the Smithsonian Migratory Bird Center, is specifically designed to reward coffee growers for shade-growing practices that preserve habitat for migrating birds and other wildlife. Strict criteria stipulate that coffee farms maintain a minimum of 40% shade and at least 10 tree species. Farms seeking Bird Friendly Certification must also be organically certified. Smithsonian Bird Friendly is the only certification that includes criteria for shade management.